Product prices and availability are accurate as of 2019-04-25 11:48:17 EDT and are subject to change. Any price and availability information displayed on http://www.amazon.com/ at the time of purchase will apply to the purchase of this product. 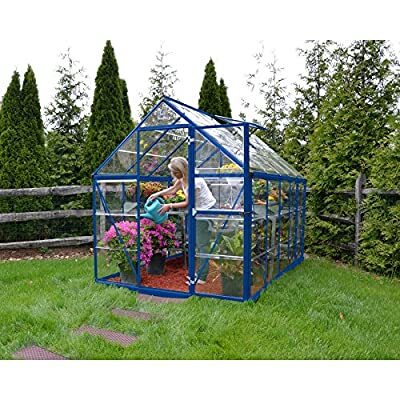 Liven up your gardening experience with the Palram Harmony 6 x 10 ft. Hobby Greenhouse. 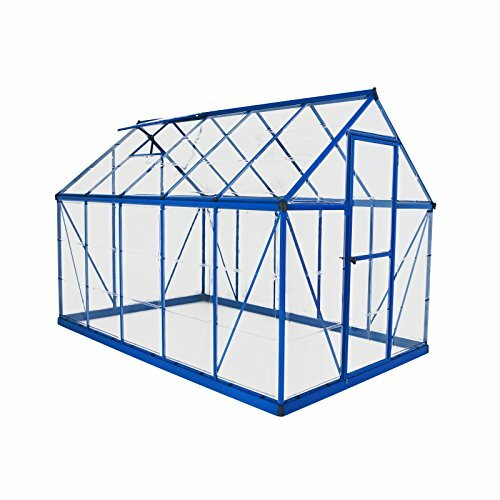 The Harmony Greenhouse combines playful energy with practical functionality thanks to its limited one-time blue finish and feature list. 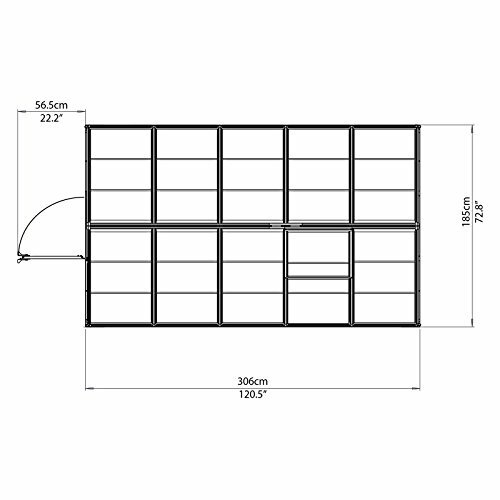 A galvanized steel base supports the rust-resistant, powder-coarted aluminum frame, which houses a multidirectional door, roof vents, rain gutters, and virtually unbreakable polycarbonate panels. No-hassle assembly will have you growing the produce of your dreams in no time flat. Dimensions: 120.5L x 72.8W x 81.9H in.. 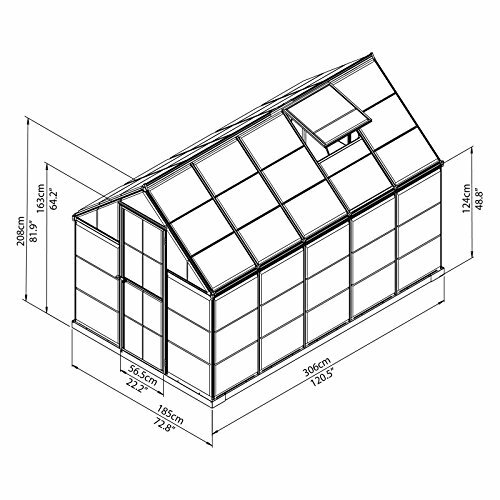 Features include a galvanized steel base, roof vent, and roof gutters. Provides 60 sq. ft. of growing space. 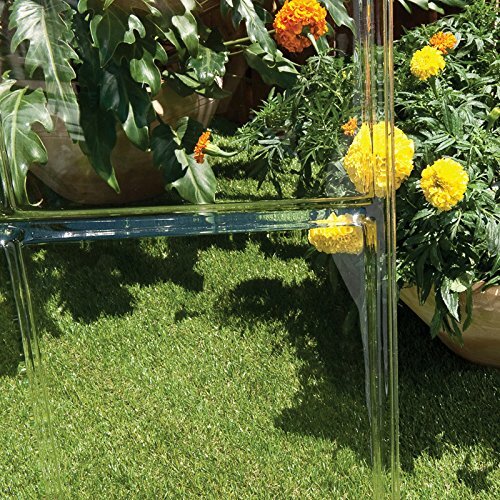 Rust-resistant powder-coated aluminum frame ensures years of use. 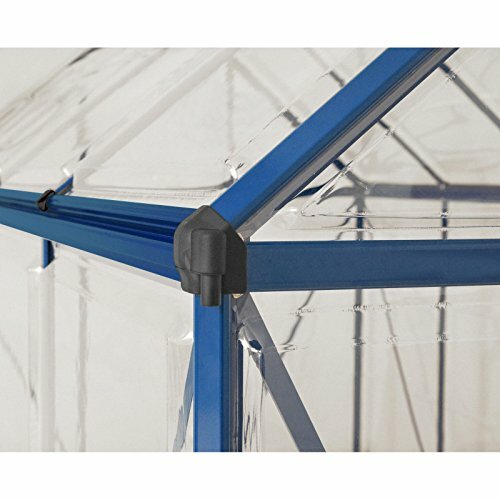 Clear, virtually unbreakable polycarbonate roofing and siding.